Signature Flight Support Corporation Joins HireVeterans.com! 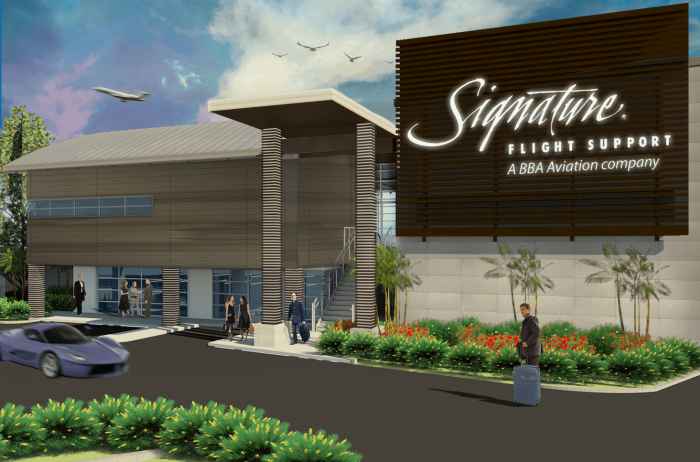 Signature Flight Support Corporation, a BBA Aviation plc company, is the world’s largest fixed-base operation (FBO) and distribution network for business aviation services. Signature services include fueling, hangar and office rentals, ground handling, maintenance and a wide range of crew and passenger amenities at strategic domestic and international locations. Headquartered in Orlando, Florida, Signature currently operates at more than 100 locations in the United States, Europe, South America, Africa and Asia. At Signature Flight Support, you can count on world-class flight support with a determined focus on customer service and safety. Their people bring a dedication for aviation and a commitment to service you can feel – you’ll know They are glad to see you. They will handle your aircraft, passengers and crew with the utmost care. Their locations provide premium flight support services including fueling, hangar space, ground handling and aircraft maintenance at more than 100 airports around the globe. No matter what you fly, or where you fly it, single engine piston, corporate jet, military to transport category, they are there to serve you. Getting it right. Every time. Since the merger of Page AvJet and Butler Aviation in 1992, Signature Flight Support has grown to become the world’s largest network of Fixed Base Operators (FBOs). Signature’s worldwide compilation of FBO’s deliver essential support services for business and private aviation, including refueling, hangarage, and a variety of other amenities essential to the safe and efficient operation of an aircraft. Click Here To View And Apply To All Of Signature Flight Support Corporation’s Available Positions!